Tucson, AZ, WPH Press, 2/13/17- The WPH Outdoor Men’s Pro Rankings saw a huge shakeup following the WPH Outdoor 6 3WallBall Bob Harris Royal Flush Stop #2. 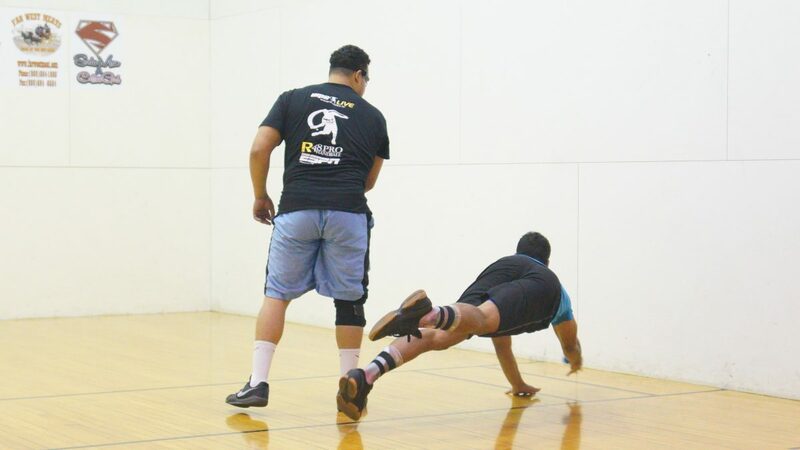 Samzon Hernandez returned to the top spot for the first time in more than a year after sweeping the singles and doubles at the Royal Flush with alarming ease. “The Machine” is officially back! 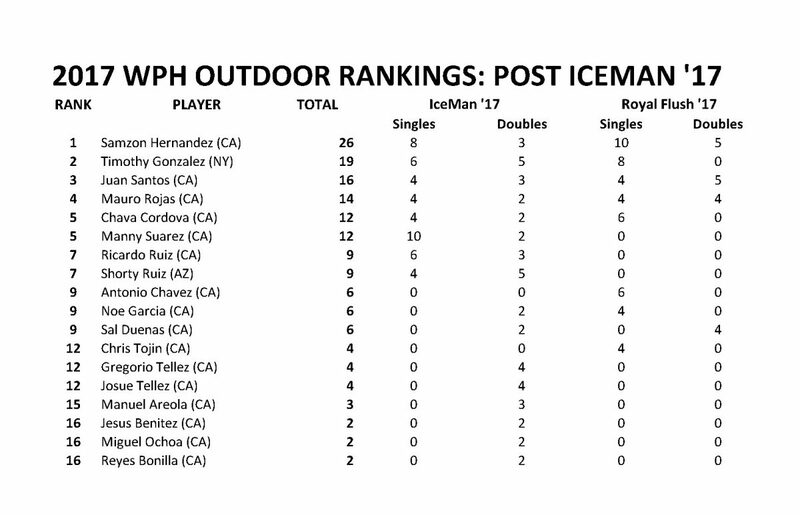 Timbo Gonzalez and Juan Santos sit at #2 and #3, respectively, while Sal “The Wiz” Duenas celebrated his 32nd consecutive WPH Outdoor start by returning to the top 10 after making the doubles final at the Royal Flush. Look out for Stockton’s Mauro Rojas and Antonio Chavez, as well as L.A.’s prodigy Chava Cordova.